We are delighted to announce that AdventureX will return to London on November 10th & 11th 2018. This year, we are excited to be running AdventureX in partnership with the British Library as part of International Games Week. Our new venue will be the British Library Knowledge Centre, a more accessible location in Central London with excellent facilities. The venue offers nearly twice the visitor capacity of our 2017 venue, as well as a larger theatre space and a number of connected exhibition spaces. AdventureX has had several great years at Goldsmiths, and we’re looking forward to working with the British Library in 2018. Our feedback surveys from 2017 showed us that our “turn up and queue” policy had a number of drawbacks. We turned away several people who had travelled a long way to attend, and that’s not something we want to do again. 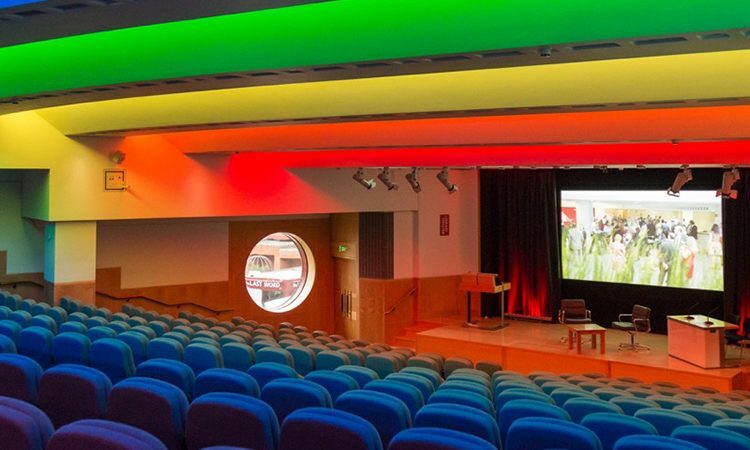 So this year, AdventureX will be a ticketed event, with tickets sold through the British Library. It will still be free to exhibit games at AdventureX, and that’s very important to us. Before tickets go on sale from the British Library Box Office, you will have the opportunity to pick them up at a significant discount by supporting our 2018 Kickstarter (launching in mid-June). We hope that this pricing structure will reward loyal AdventureX attendees, while eliminating the element of risk associated with first-come-first-served. Concessions = students, under 18s and registered unemployed. Pricing subject to revision. AdventureX will always be a not-for-profit event, and we aim to work with gaming advocacy groups to make it easier for marginalised gamers and developers to attend. We know that some AdventureX regulars will approve of this change, and we know some will be disappointed. But we hope you agree that we need to find a sustainable approach to keep AdventureX going year after year. For 2018, partnering with the British Library is a great opportunity for AdventureX to grow. We’re looking for a new artist to create the artwork that will adorn our 2018 marketing materials and Kickstarter rewards. Click here for more information. Sumbissions are not open yet. As usual, the window to submit your narrative games for exhibition at AdventureX will open at the same time as the Kickstarter in mid-June. We can’t wait to see what you’re working on.